A positive, enabling approach to inspiring New Zealanders to learn how to swim. 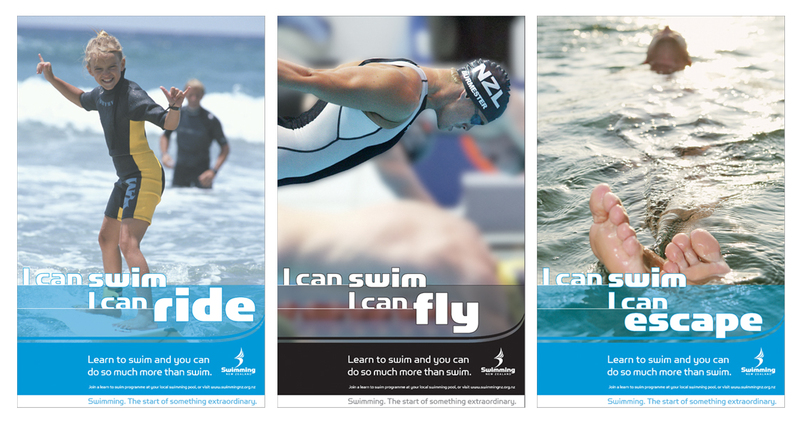 As part of Swimming NZ’s promotion of learning to swim, we were asked to develop adverts and posters that would appeal to both adults and children. Rather than take the well-trodden and easily dismissed path of scaring people into learning how to swim, our approach was to take a more positive stance, highlighting the opportunities beyond swimming that learning to swim offered. ‘Swim and you can do so much more than swim’ was the basis for the campaign and the line that bought our brand positioning of ‘Swimming – the start of something extraordinary’ to life.